Following are some of the resident stories behind “Kendal Collects – 2017,” a biennial art show at Kendal at Oberlin that features over 80 cherished artworks from residents’ private art collections. This year, a series of blogs and videos highlight some of the personal connections residents have to these treasured artworks. See and hear residents tell the stories about why these pieces are meaningful to them. Kendal Collects is a summer show, running through August 13. For summers during even years, the community features “Kendal Creates” – artwork created by residents themselves. The eclectic show is on display in all three of Kendal’s art galleries. 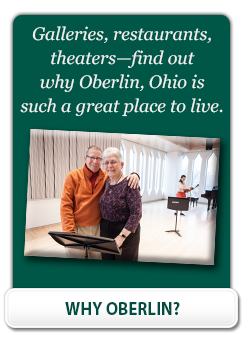 The public is invited to visit Kendal at Oberlin and see the show. The galleries are open daily from 9:00 AM to 5:00 PM. Please stop by the reception desk for directions to the gallery locations. The Kendal at Oberlin Art Committee curated this show, along with all other shows in our gallery spaces. Items in this exhibit are not for sale.